Discussion in 'Government Jobs' started by Admin, Apr 10, 2013. 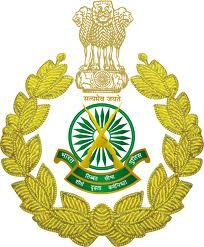 Indo-Tibetan Border Police Force Invites Application from the eligible candidates who fulfill the following eligibility criterion for filling up the vacancies given below. How To Apply :- Eligible and interested candidates should send their Applications (duly filled in Hindi or English only) complete in all respects and Candidate’s Admit Card duly filled, in the prescribed proforma as per Annexure ‘I’ and Annexure ‘II’. The application, either type written or neatly hand written inink/ball pen, on one side only on full size plain paper with passport size photographs affixed on application should be sent along with application fee, and enclosures to the designated Post Box No. as mentioned against each post at para - 4 above. The application must to reach on or before the prescribed last date i.e. 22nd April,2013for all States except for Assam, Meghalaya, Arunachal Pradesh, Mizoram, Manipur, Nagaland, Tripura, Sikkim, Ladakh Division of Jammu and Kashmir State, Lahaul - Spiti District and Pangi Sub- Division of Chamba District of HP, Andaman & Nicobar Islands and Lakshadweep for which last date is 29thApril, 2013.